Our January-TEDxBarcelonaSalon event will take place on Monday, 7th of January at 18:45 at the library Excellence (C/ Balmes 191). 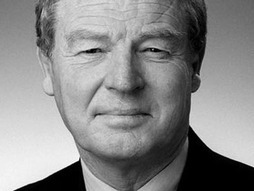 Paddy Ashdown is a former member of the British Parliament and a diplomat with a lifelong commitment to international cooperation. He claims that we are living in a moment in history where power is changing in ways it never has before. He claims: “The multinational corporations now developing budgets often bigger than medium-sized countries — these live in a global space which is largely unregulated, not subject to the rule of law, and in which people may act free of constraint. In a spellbinding talk he outlines the three major global shifts that he sees coming. We watched the video together (in english with spanish subtitles). As always, afterwards we discussed about the content presented (in spanish) among all attendees. We finished the event with networking and a glass of cava.